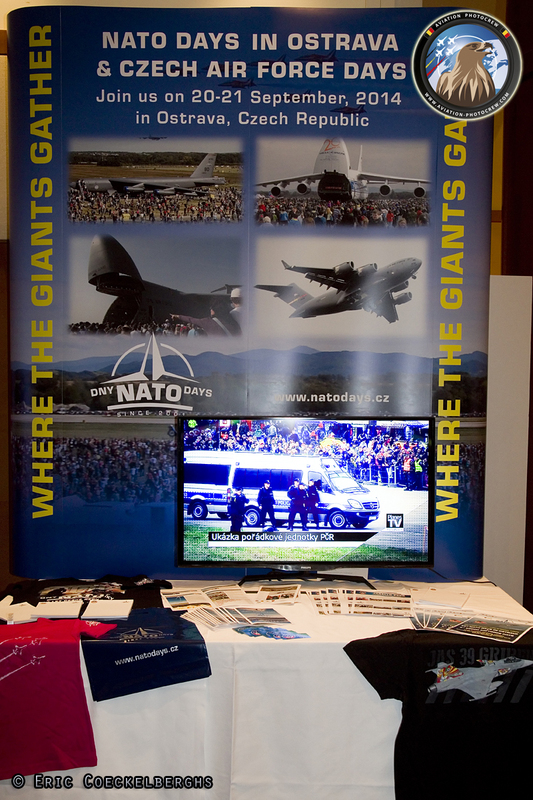 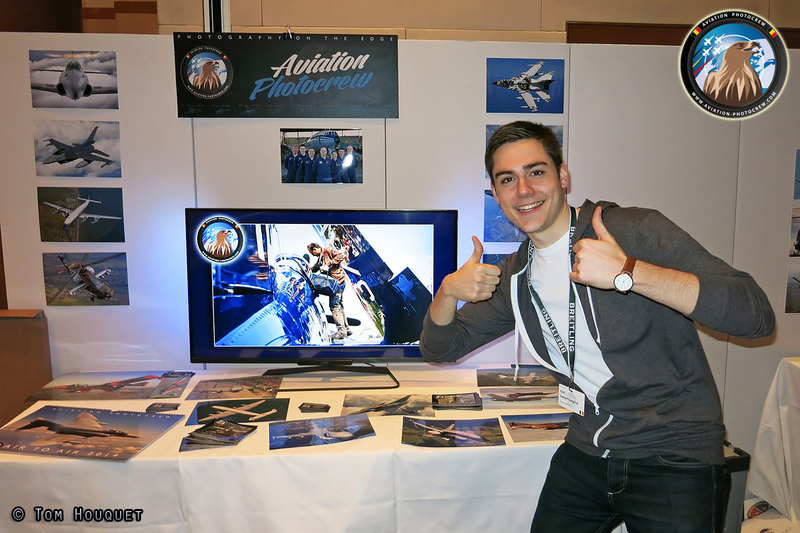 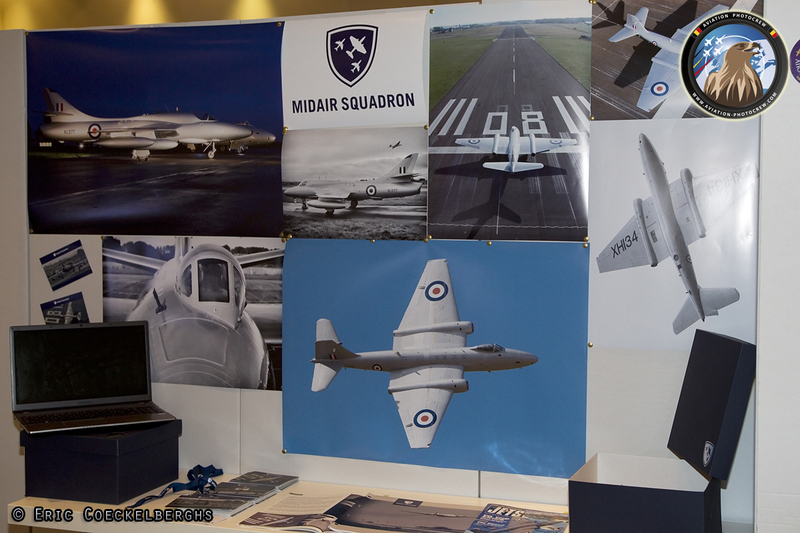 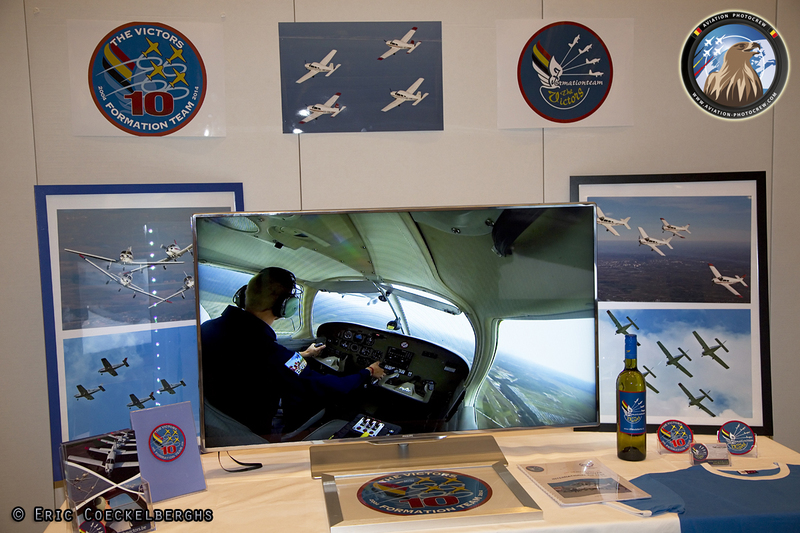 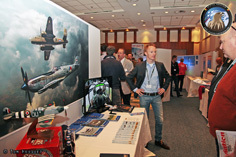 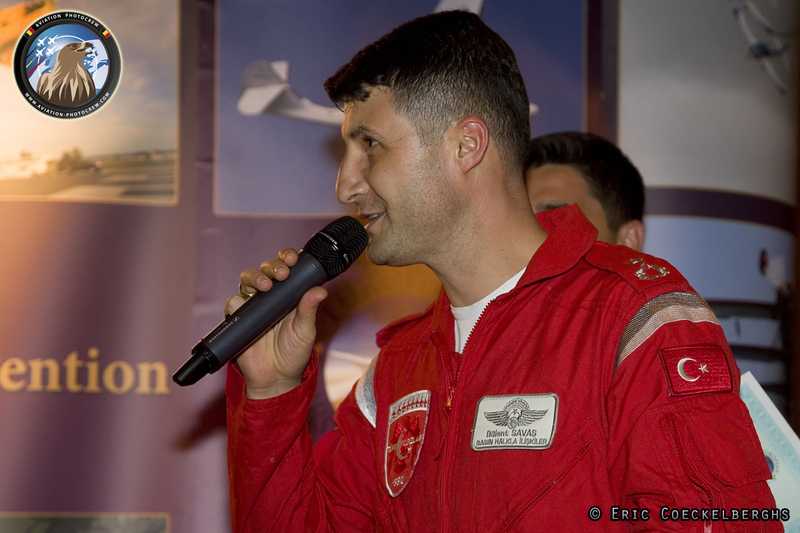 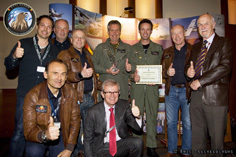 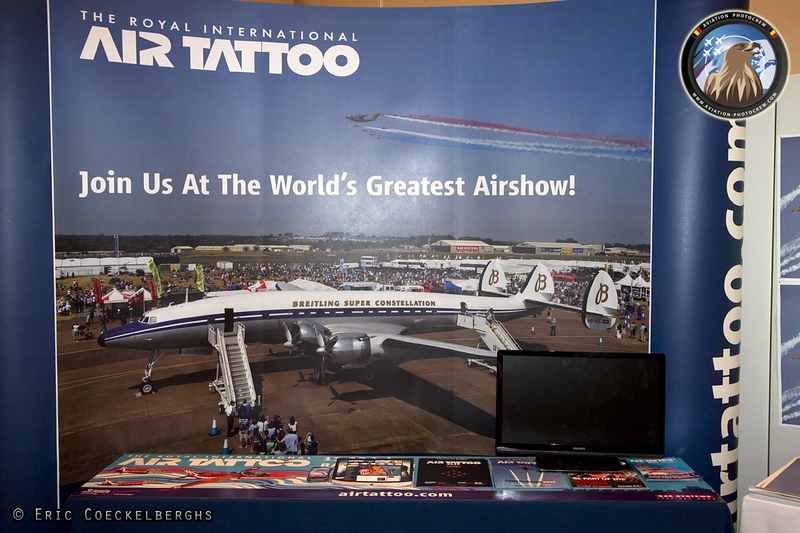 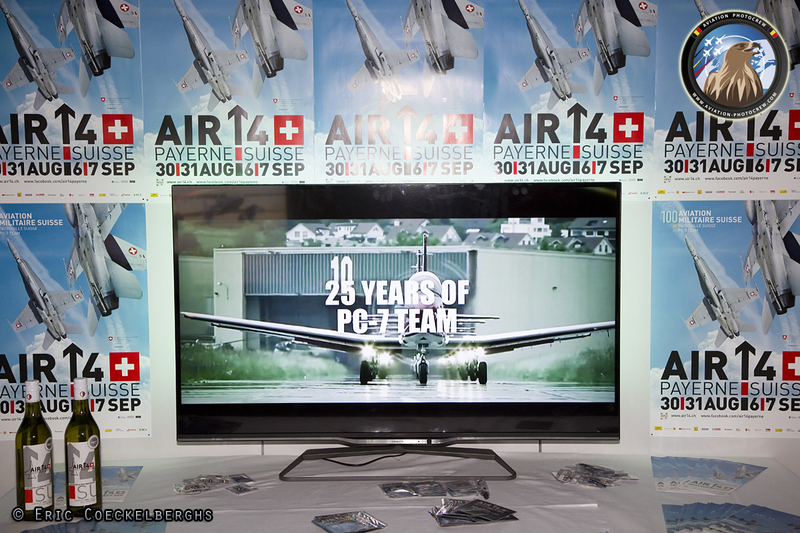 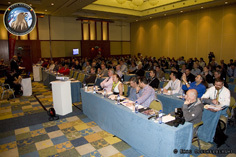 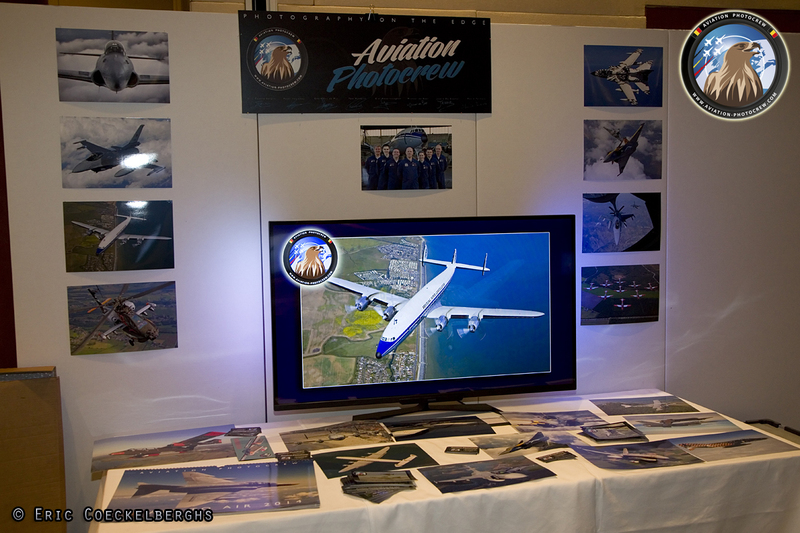 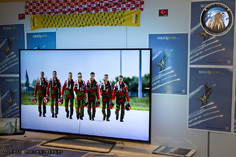 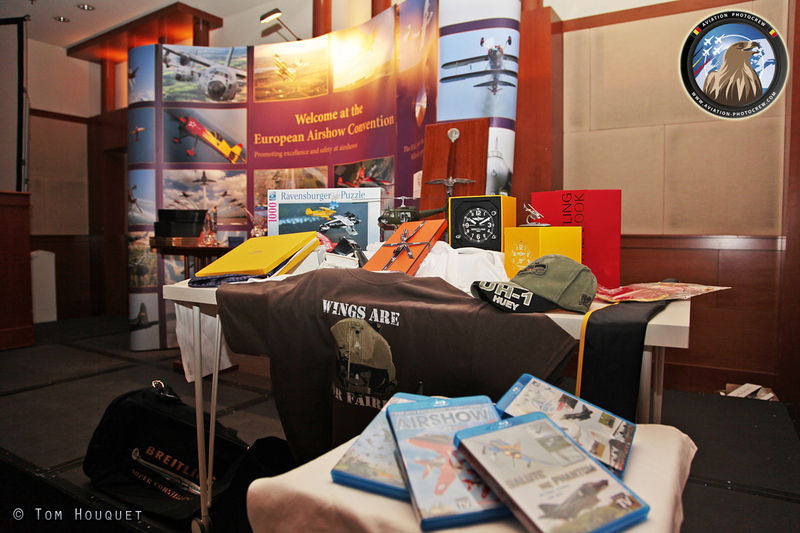 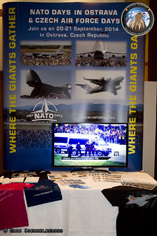 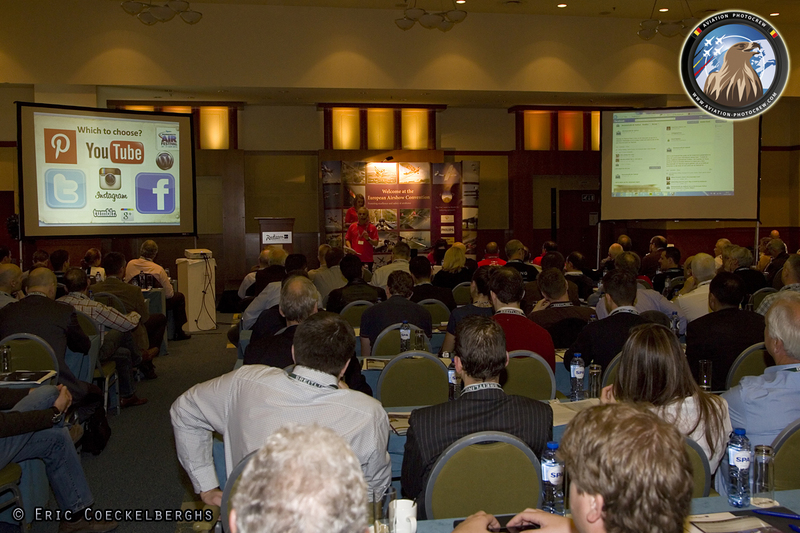 The 2014 edition of the European Airshow Convention took place at the Radison-Blu hotel in the center of Antwerp, Belgium. 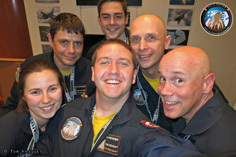 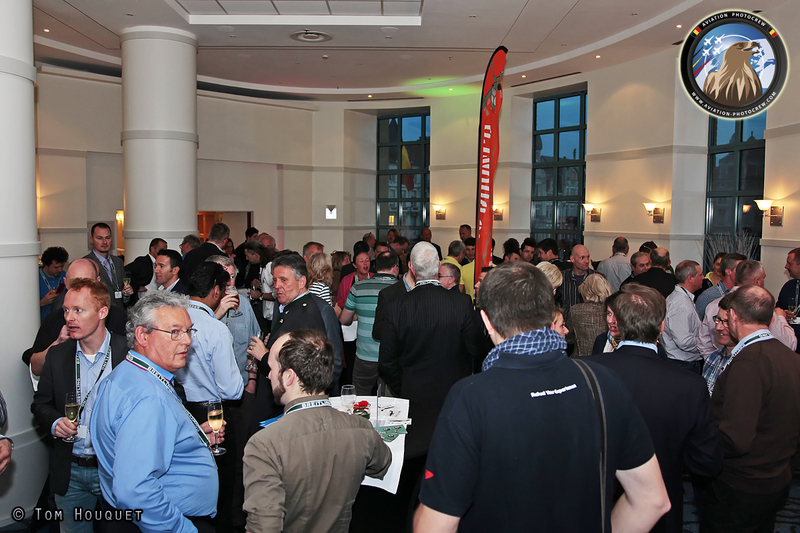 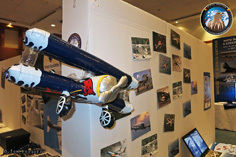 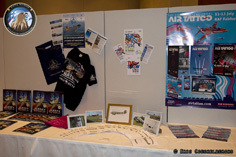 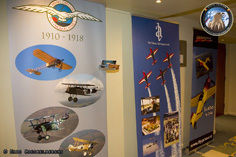 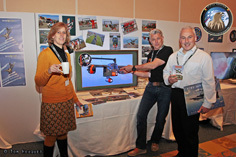 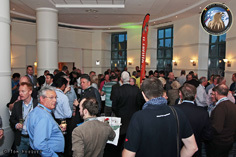 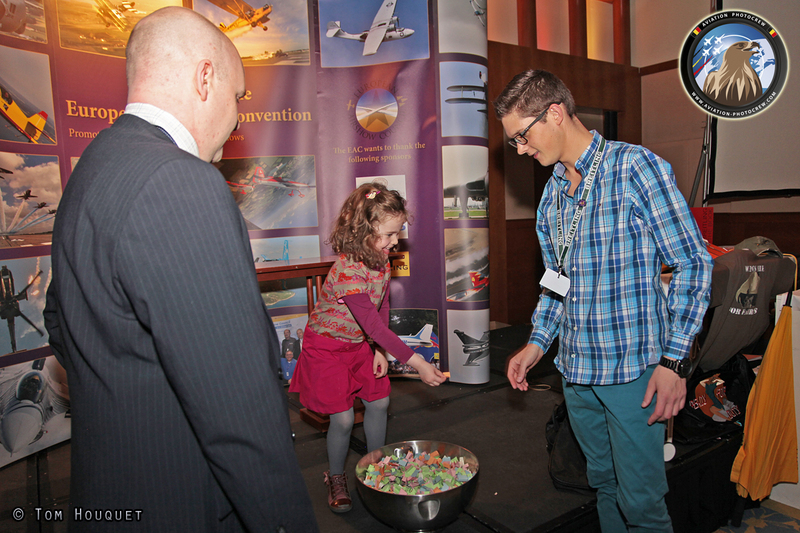 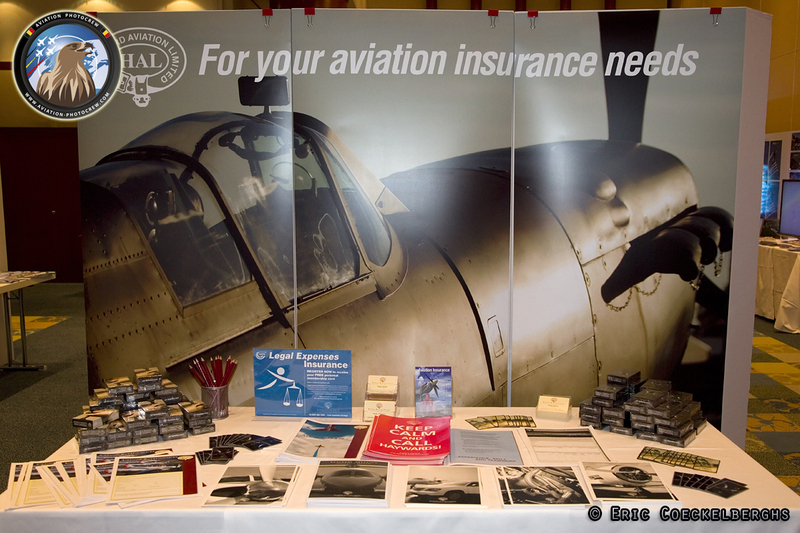 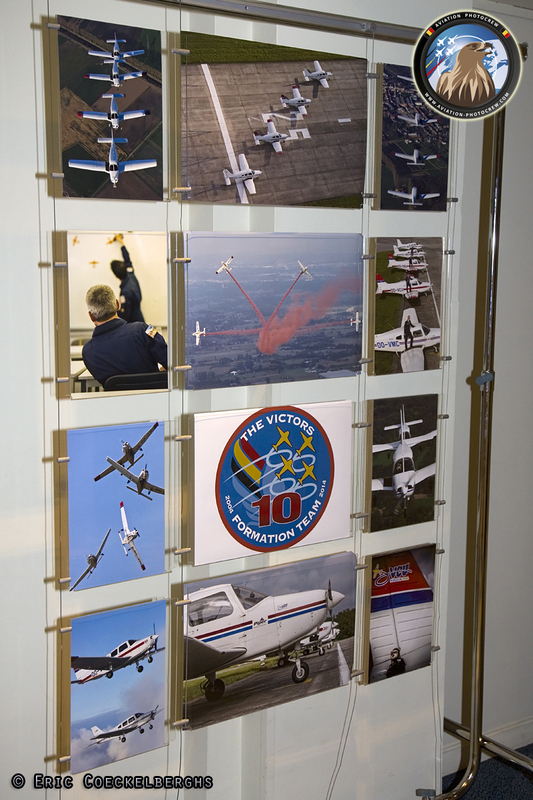 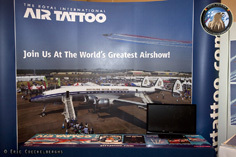 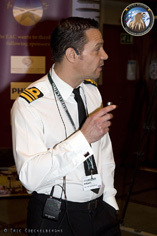 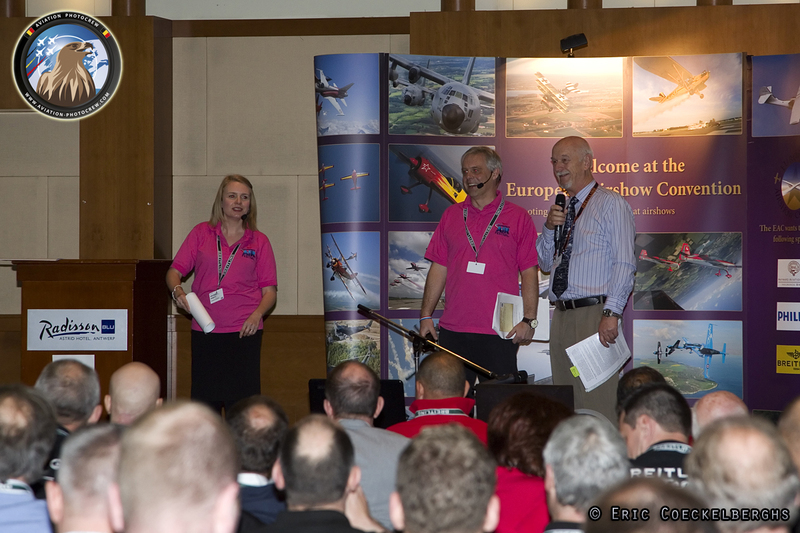 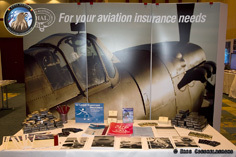 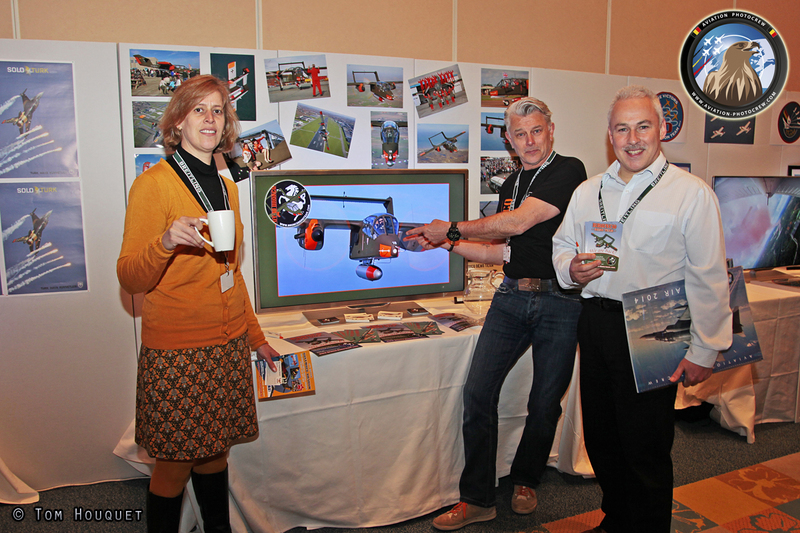 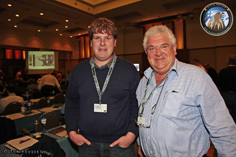 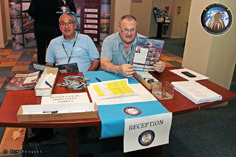 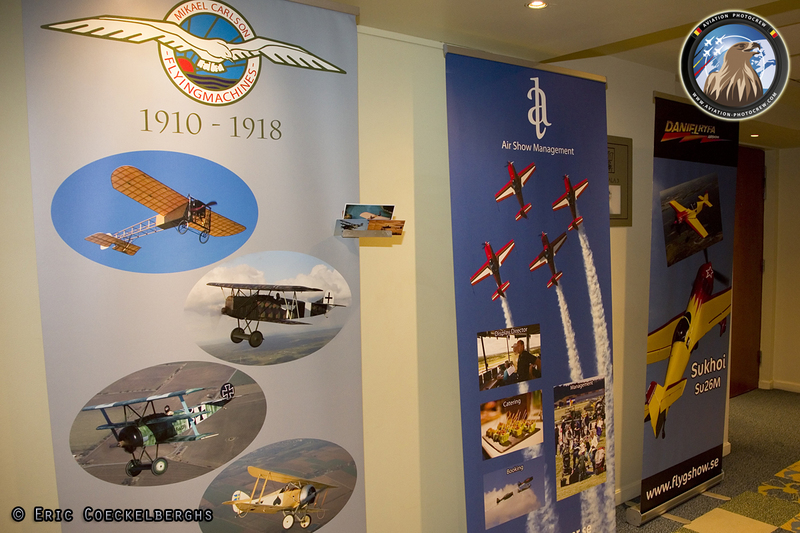 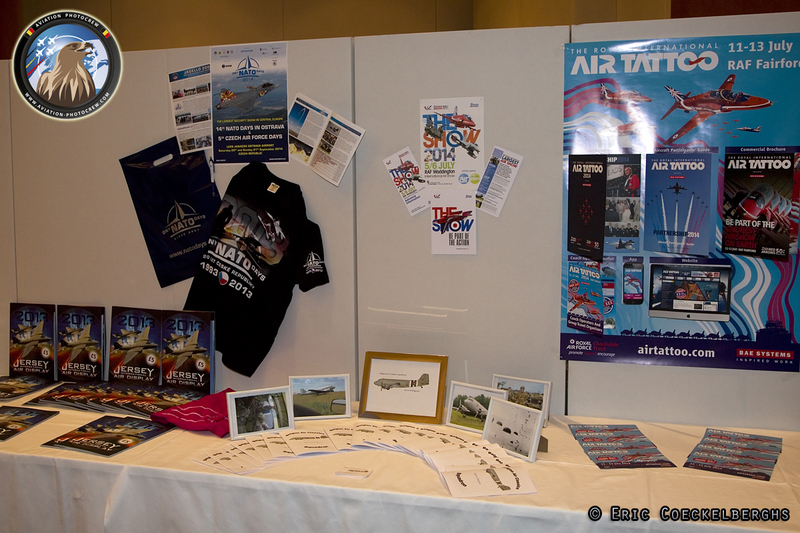 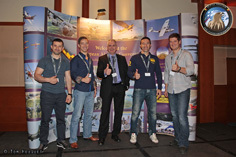 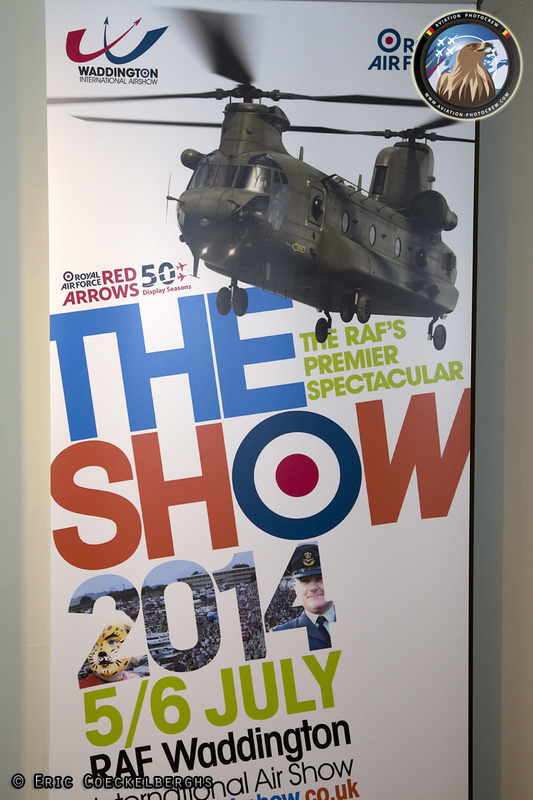 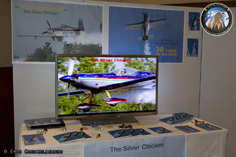 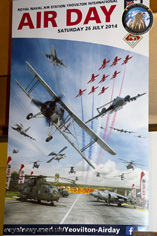 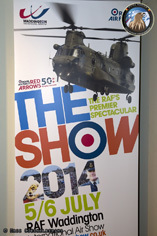 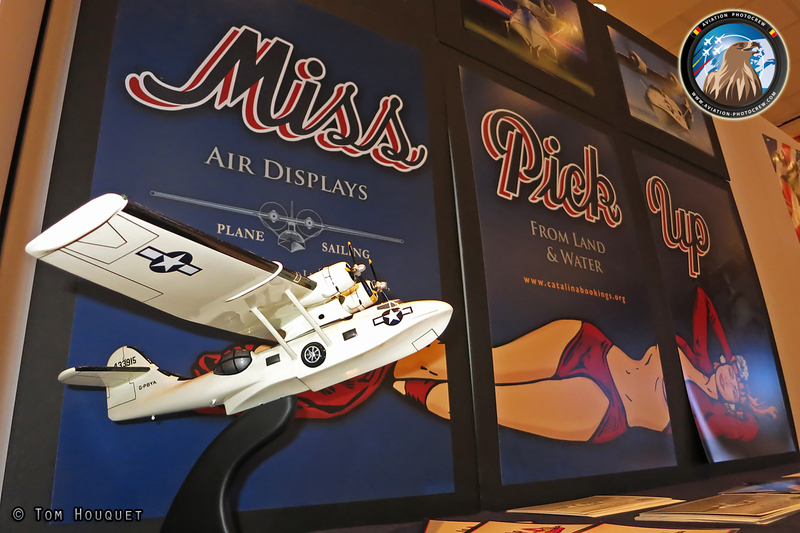 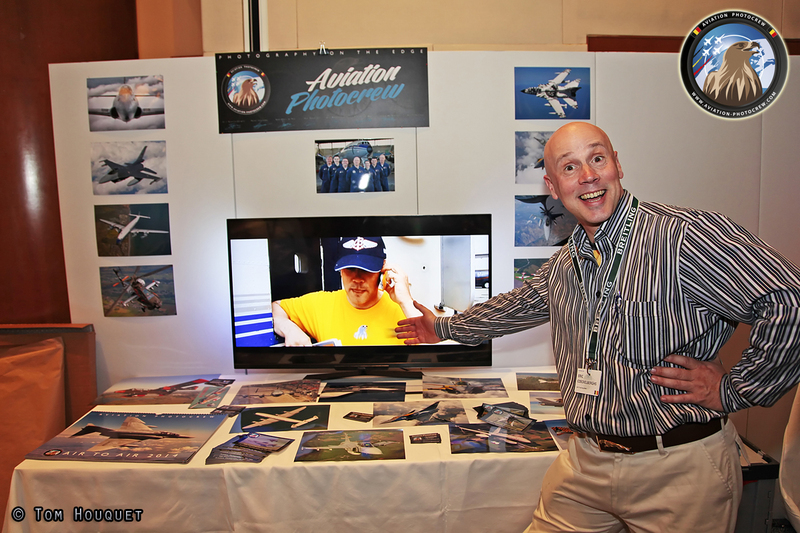 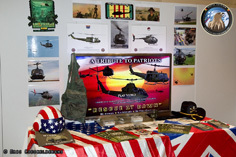 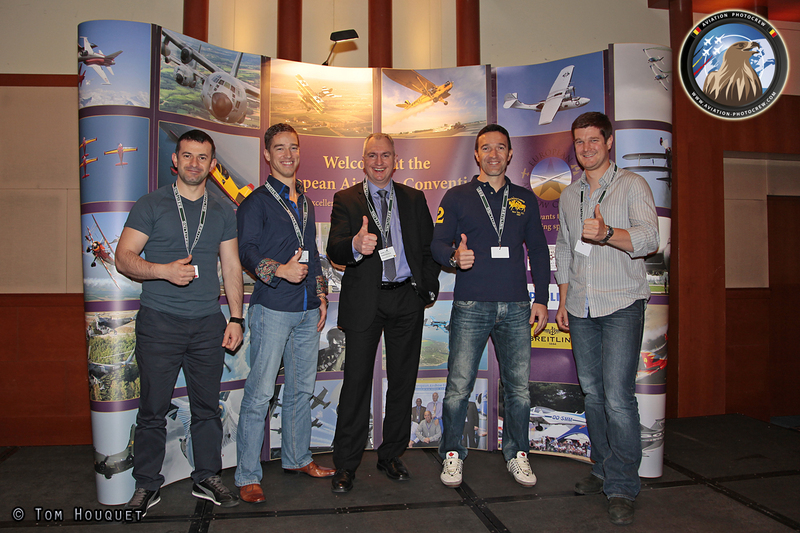 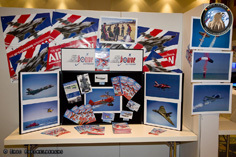 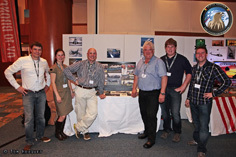 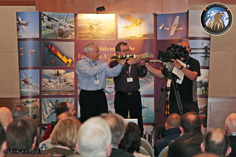 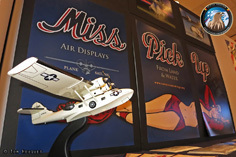 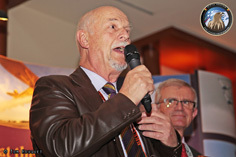 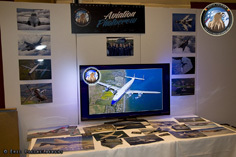 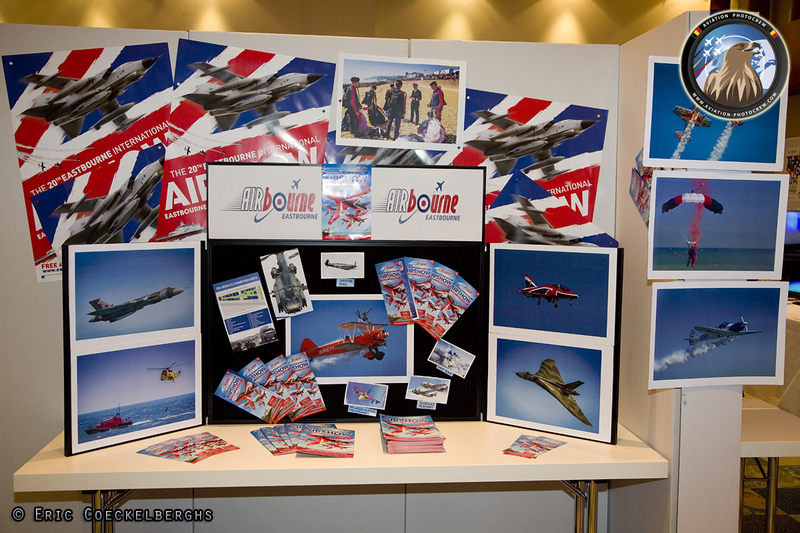 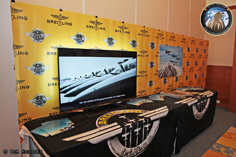 The attendees were welcomed at the display stand room on Thursday evening to say hello to everyone in the airshow scene. 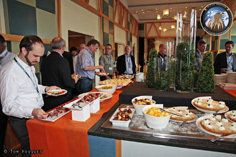 Afterwards a sponsored opening dinner took place with Belgian specialties on the table. 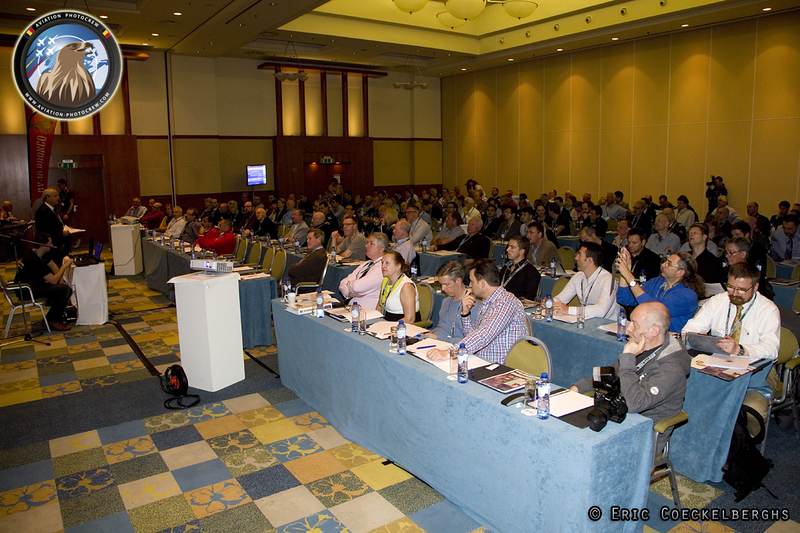 Friday morning the meeting room was filled up to it’s maximum for the convention presentations. 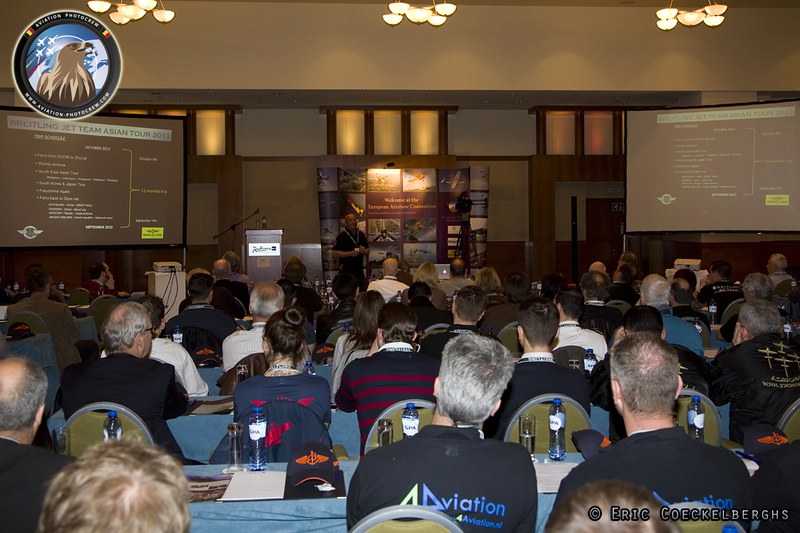 Bob Dixon and Gilbert Buekenberghs payed everyone a warm welcome at the 2014 edition. 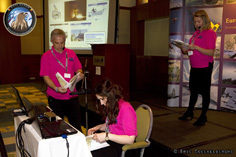 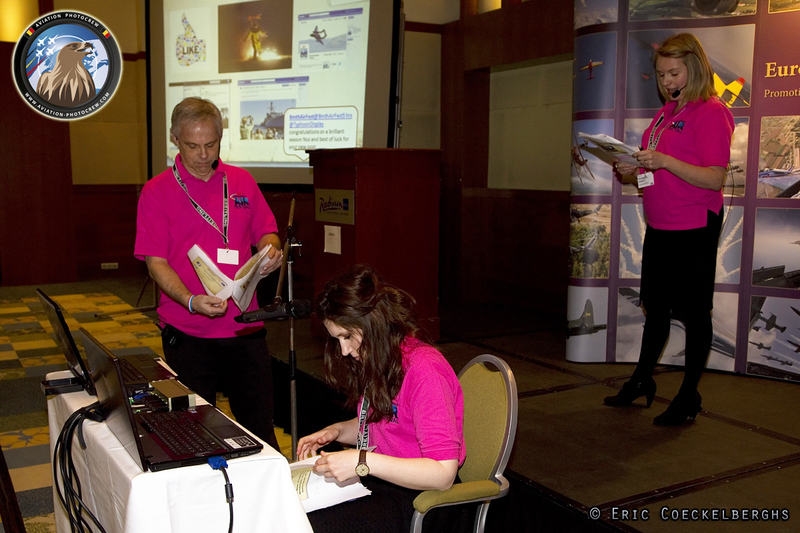 The first presentation of the day was given by the Bournemouth Air Festival team who talked about the new trends in promoting events via social media. It is great platform to interact with the visitors both for PR purposes and in case of emergency issues or traffic information. 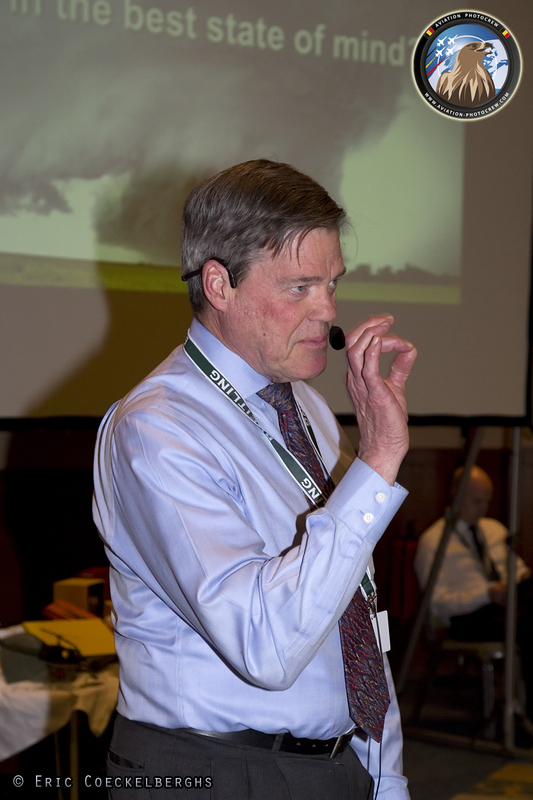 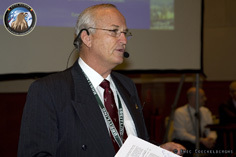 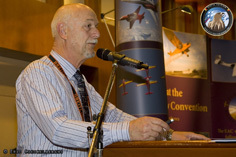 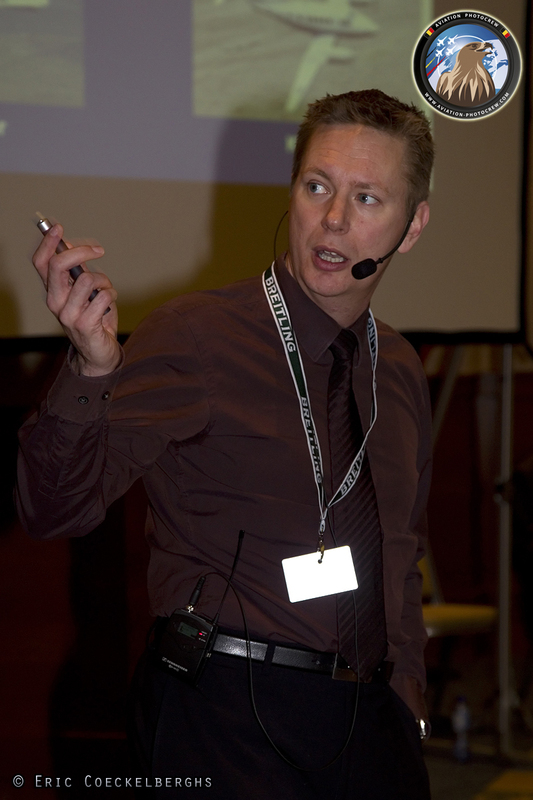 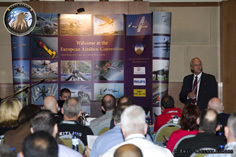 Des Barker has been a regular speaker at the EAC conventions before, yet it was good to hear him talk again about the all important element of safety. Afterwards Flt Lt Tim ‘Twigs’ Dunlop, BBMF Lancaster Display Pilot, talked about the challenges of operating and displaying large Warbirds. 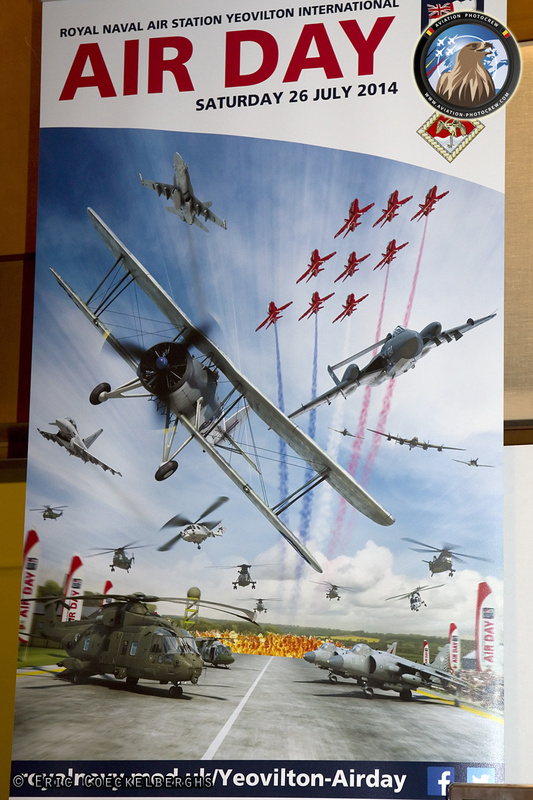 Sponsorship has become one of the main factors for Airshow organizers to be able to keep the events running. 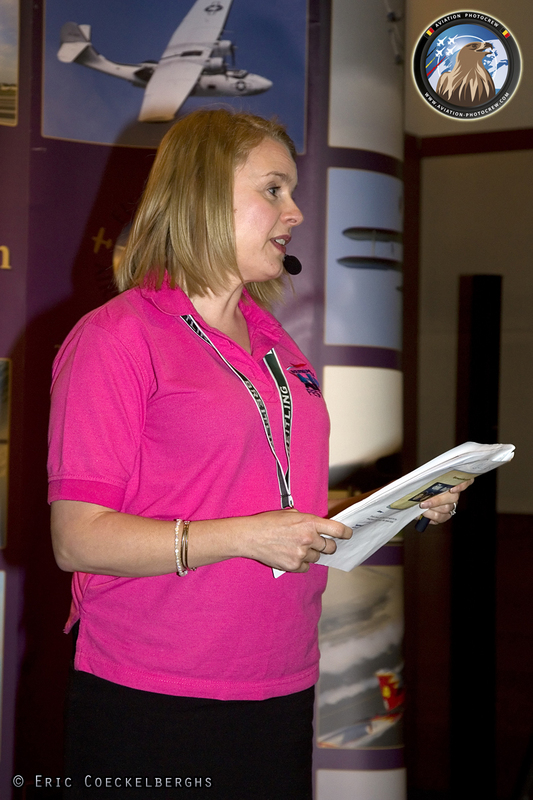 Amanda Butcher had a very interesting lecture about finding the right sponsor for your event or display aircraft. 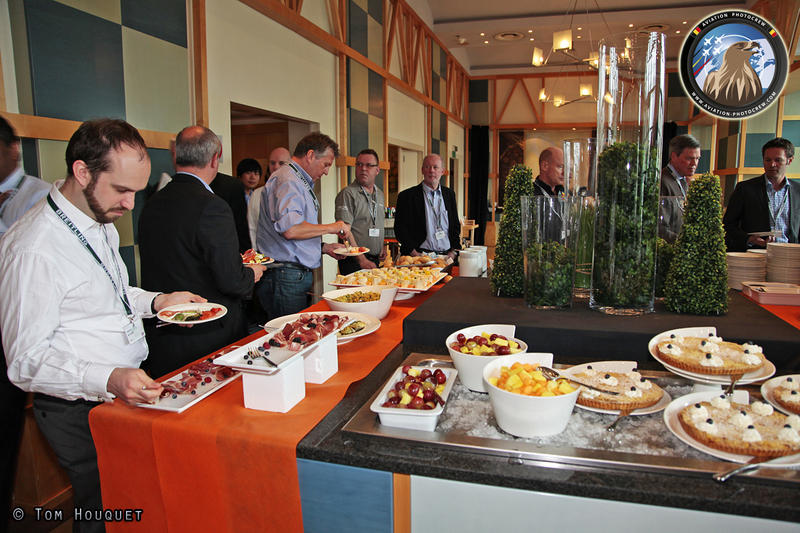 At noon it was time for a delicious lunch at the Hotel restaurant with offers a very nice view onto the Queen Astrid square with its historic train station. 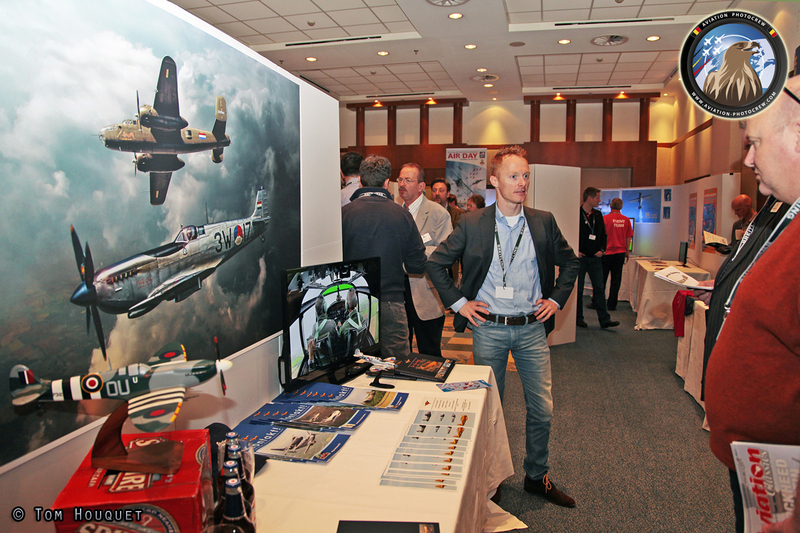 After lunch, Finnish Airshow organizer Perttu Karivalo talked about using modern technology to help control the different display lines, and finding out where all the Airshow members are positioned via a real-time positioning system. 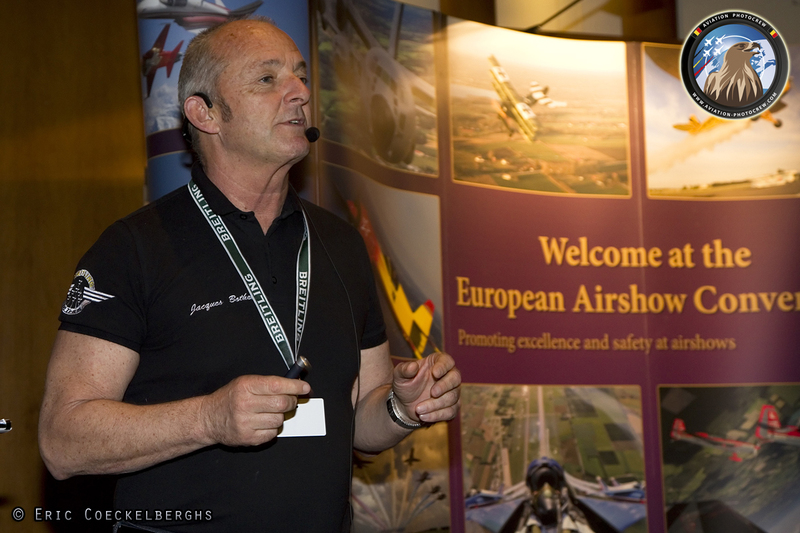 Jacques Bothelin of the Breitling Jet Team had a very interesting talk about his experiences he had to deal with, two years ago, when the team lost one of their aircraft and two flight crew had to ejected. 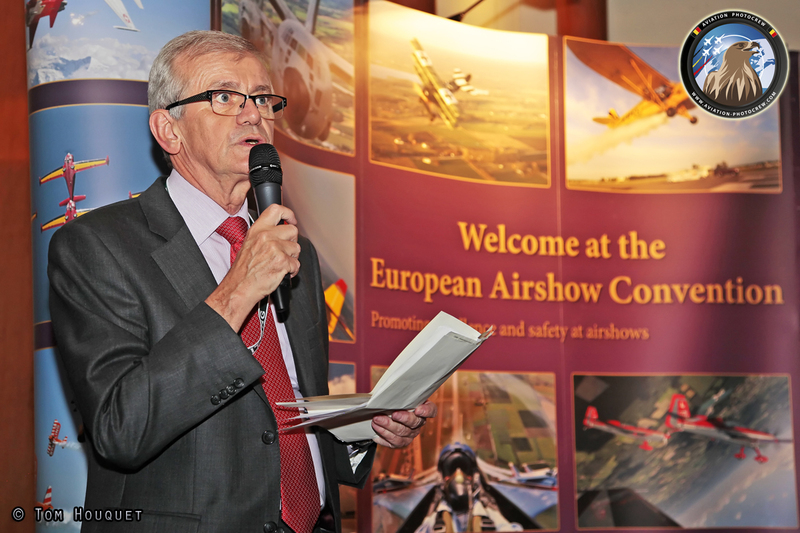 After a coffee break it was time for Tim Prince, CEO of the RIAT, to talk about his experiences after being 43 years in the business of organizing one of the major Airshows in the world. Fatigue can be a real risk at Airshows, Dr. David Stevenson, explained some practical countermeasures that Airshow organizes can take to mitigate that risk. 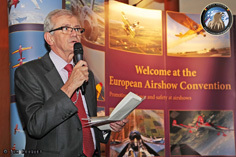 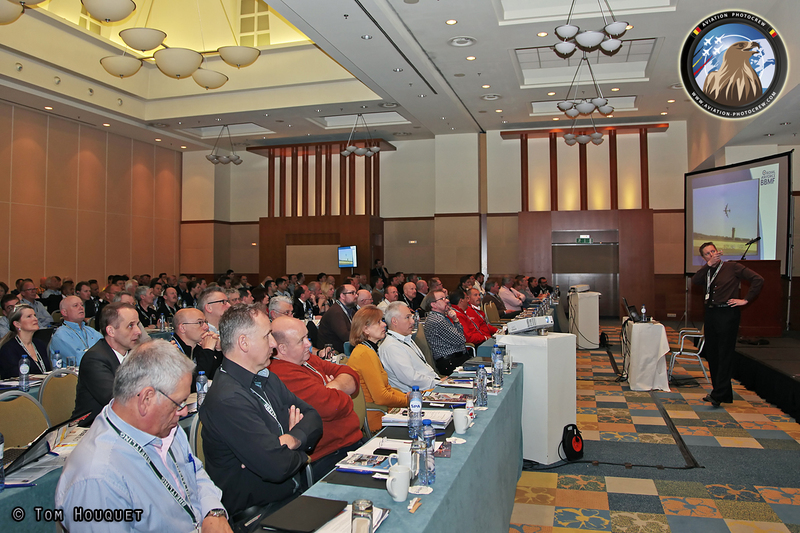 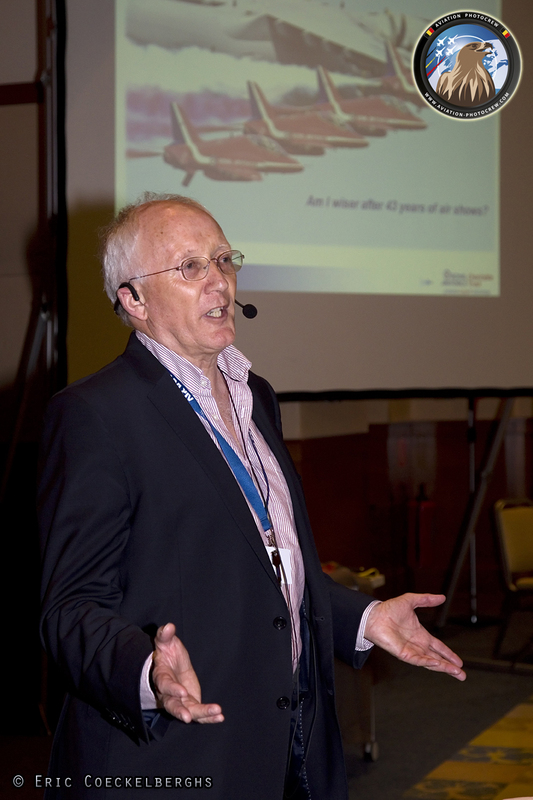 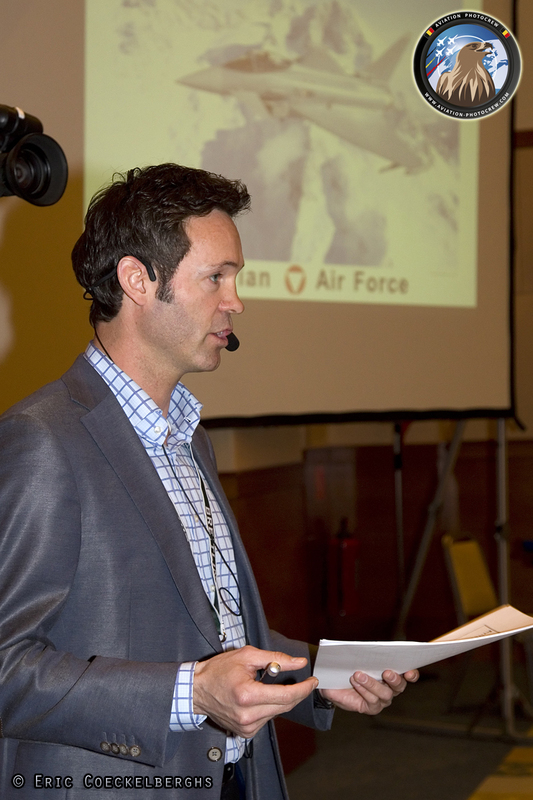 A special session was held for a limited number of attendees by Board member James Black, about the new EASA regulations affecting the European Airshow scene. 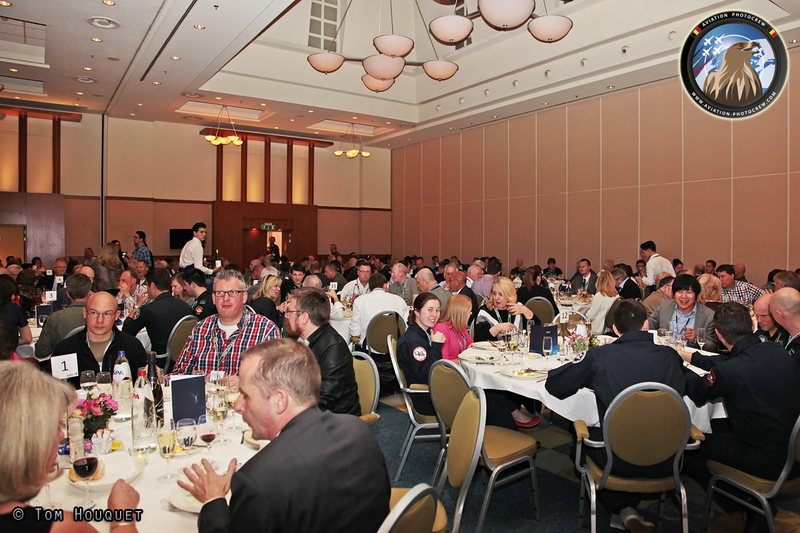 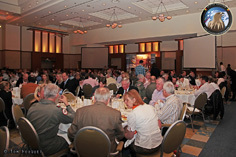 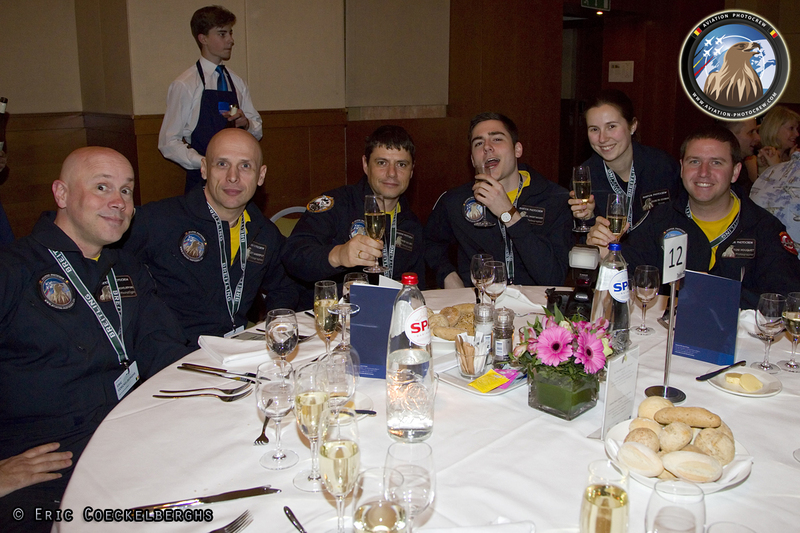 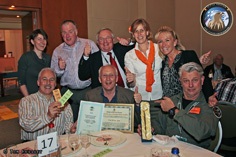 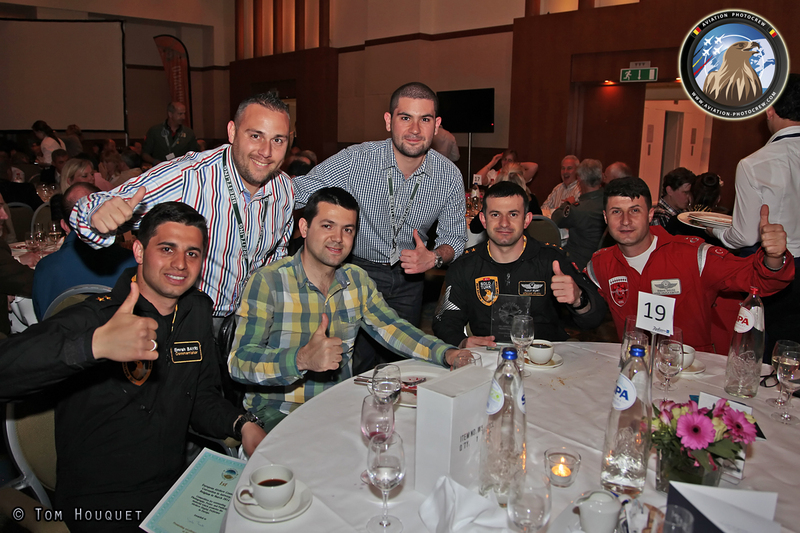 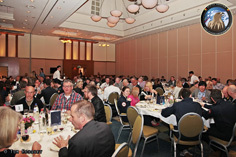 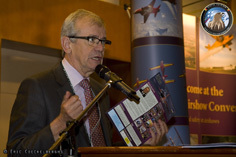 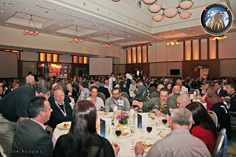 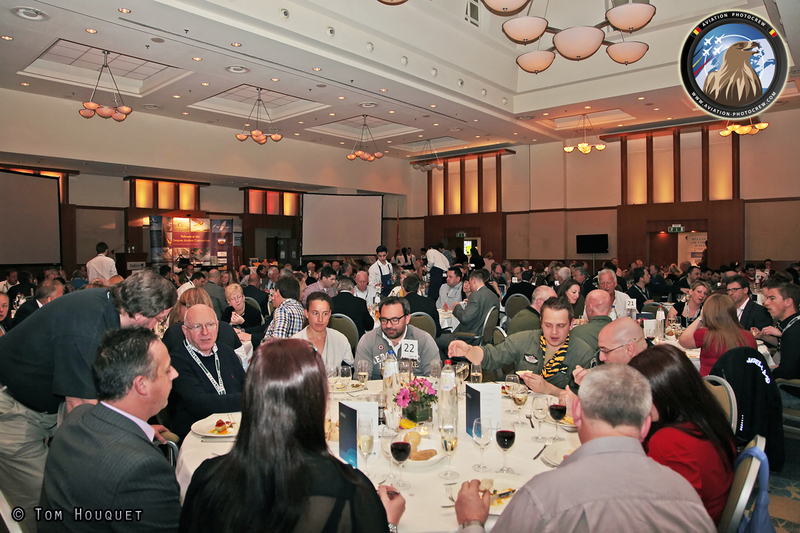 On Friday evening it was time for the famous Airshow Dinner, where all attendees could join for a great evening. After dinner it was time to hand out the 2014 EAC Awards. 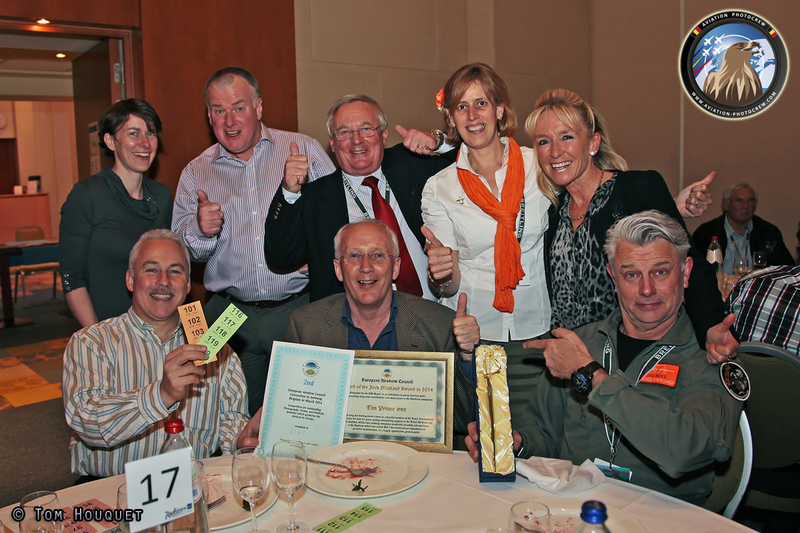 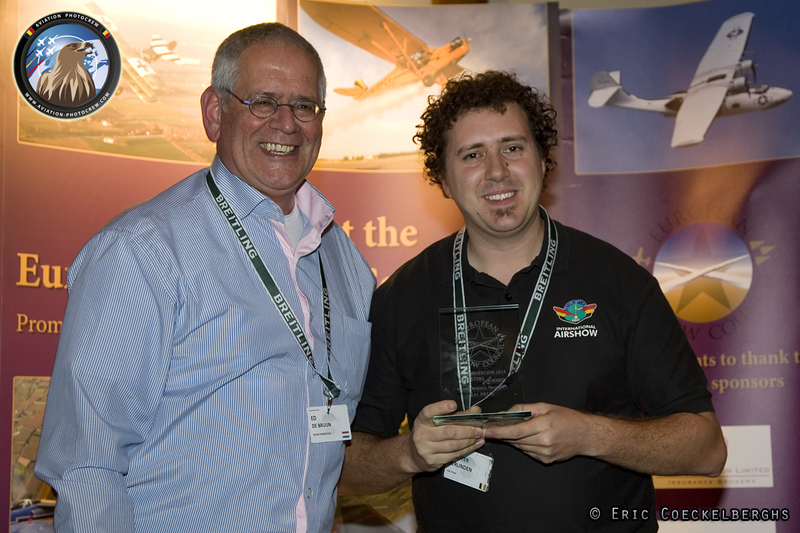 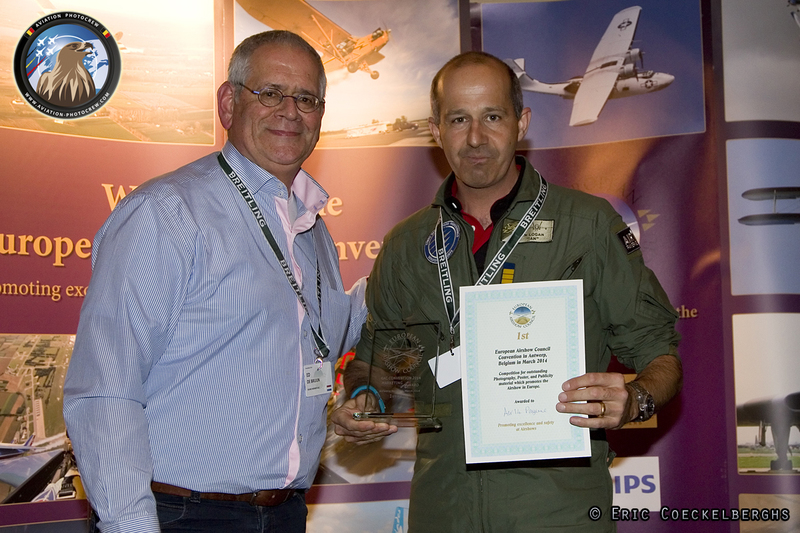 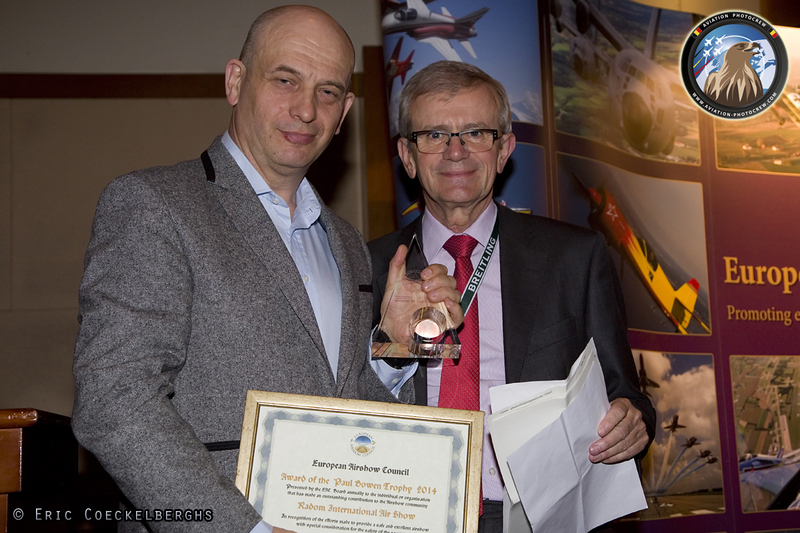 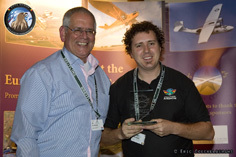 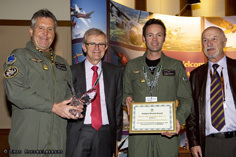 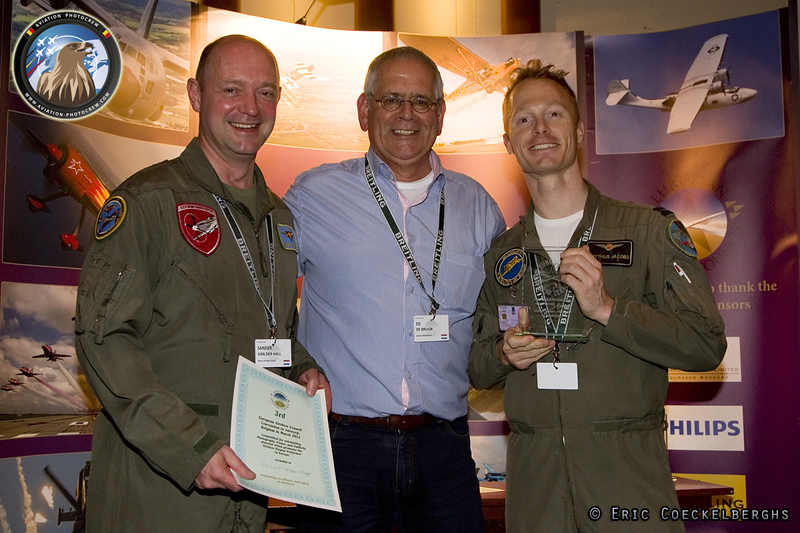 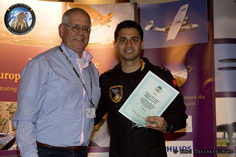 The Chairman’s Special Achievement Award went to the Zeltweg Airpower team, while the Paul Bowen Throphy wend to the Radom Airshow team. 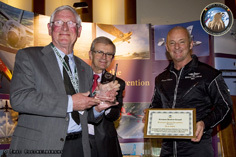 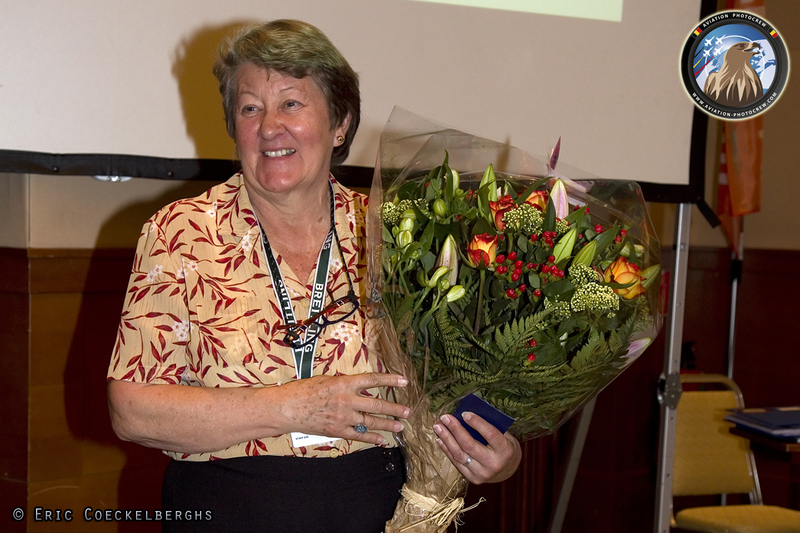 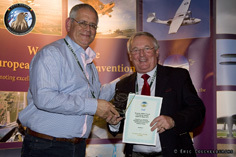 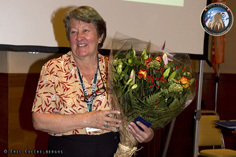 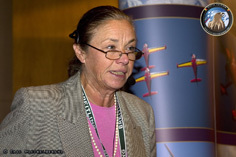 A standing ovation was given to Jean Salis of the La Ferté Alais Airshow, who received the Chairman’s Special Recognition Award. 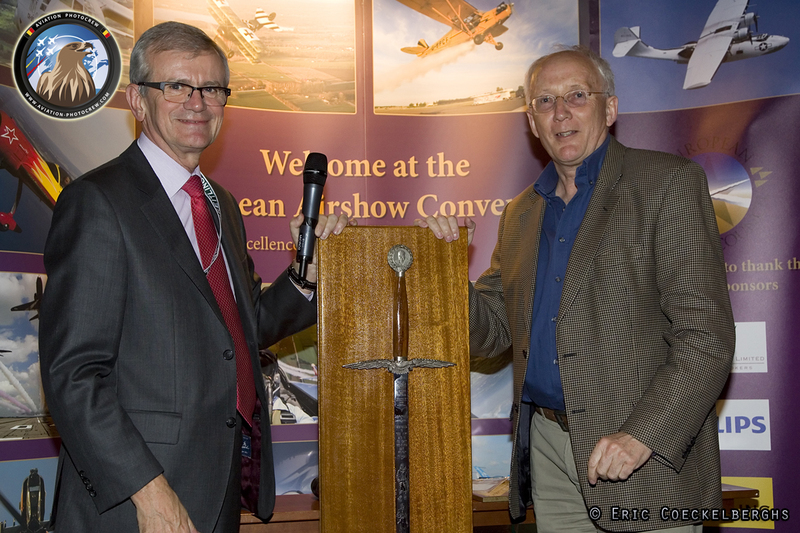 The Jock Maitland Sword, presented to an individual or group that has made an outstanding long term contribution to the Airshow community was awarded to Tim Prince of the RIAT. 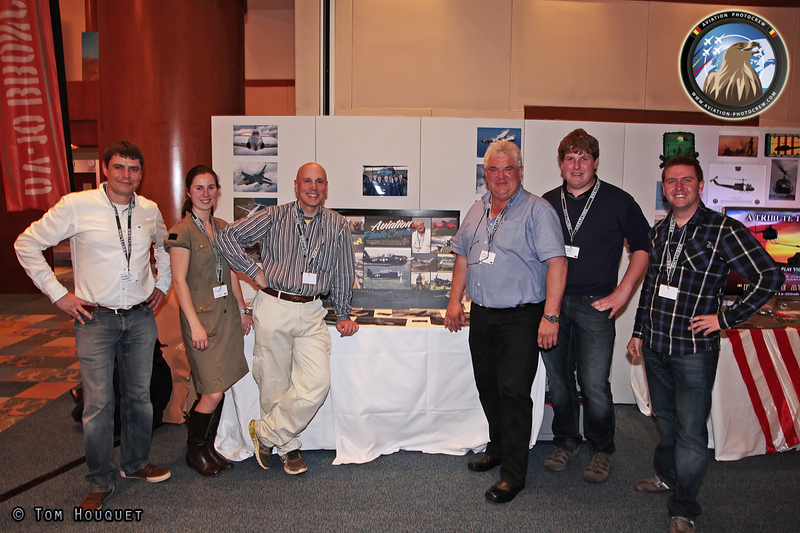 During the convention, the competition for outstanding photography, Poster and Publicity material also took place. 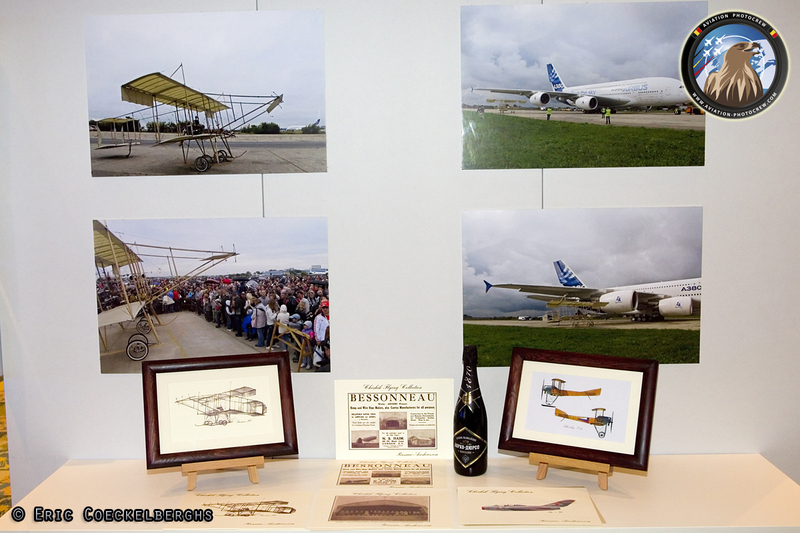 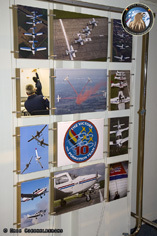 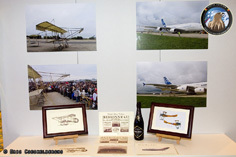 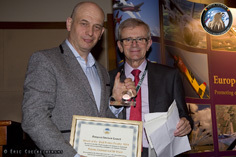 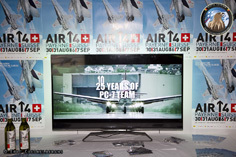 An independent jury chose the Ostrava Airshow, RIAT and the Payerne Air 14 for best publicity for Airshow Organisers, while the Dutch Historical Flight, the Catalina, and Solo Türk received the award in Airshow participants category. 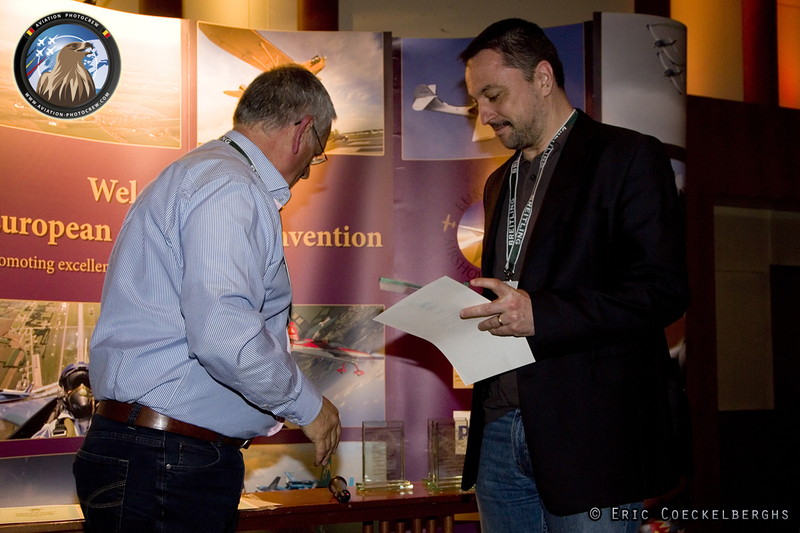 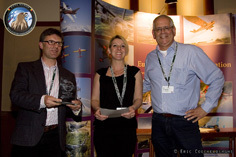 A special award also went to Wouter Verlinden for creating the nicely made EAC Flash brochures, congratulations to all! 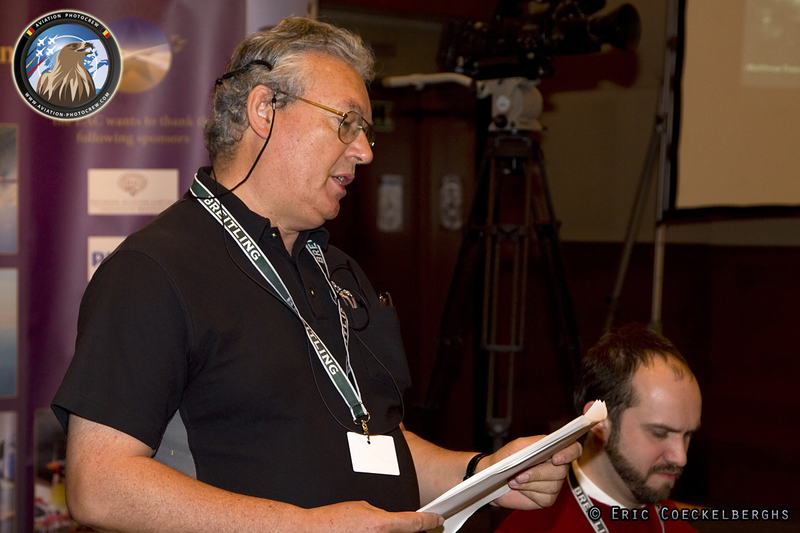 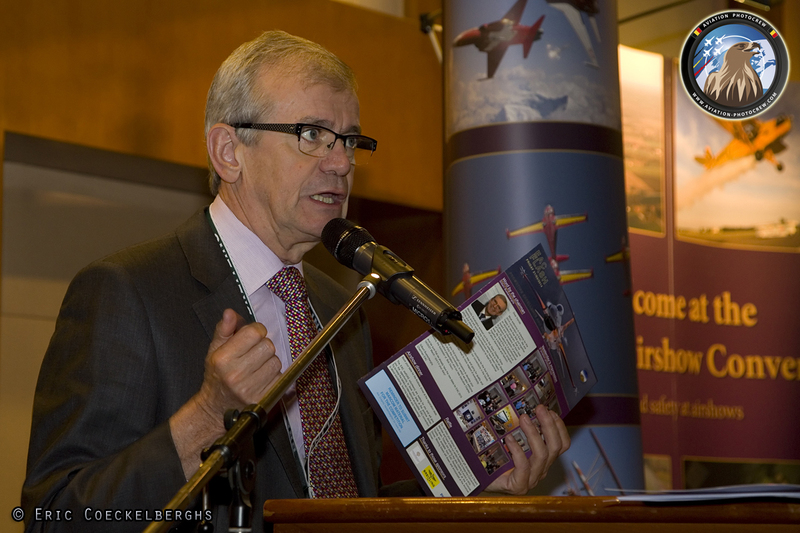 On Saturday morning, the program proceeded with a lecture by Adrian Campbell of Planes TV about the TV coverage of Airshows. 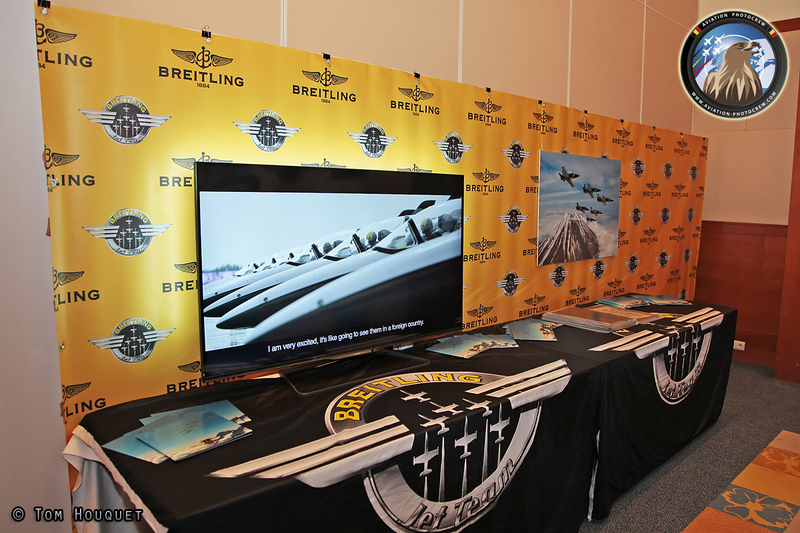 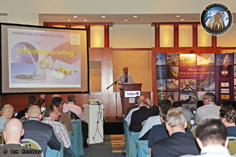 Jacques Bothelin gave a fantastic presentation of the experiences he had during the Breitling Jet Team Asian Tour. 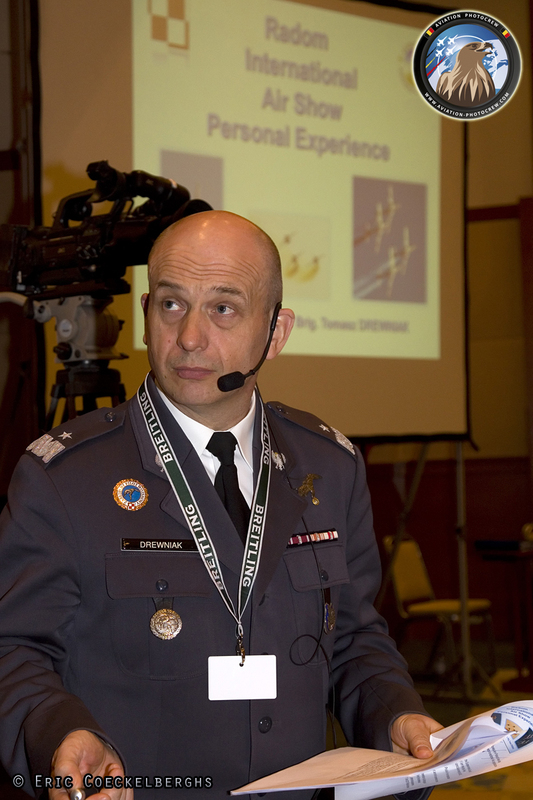 He was followed by Major Dietrich Springer of the Austrian Air Force who talked about his experiences both as Display Pilot and Display Director. 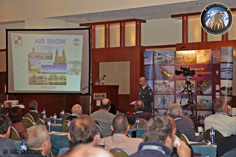 After a coffee break Lt. Cdr Scott Hughs of the UK Military Aviation Authority talked about the STANAG updates and the Display Flying regulations in the UK. 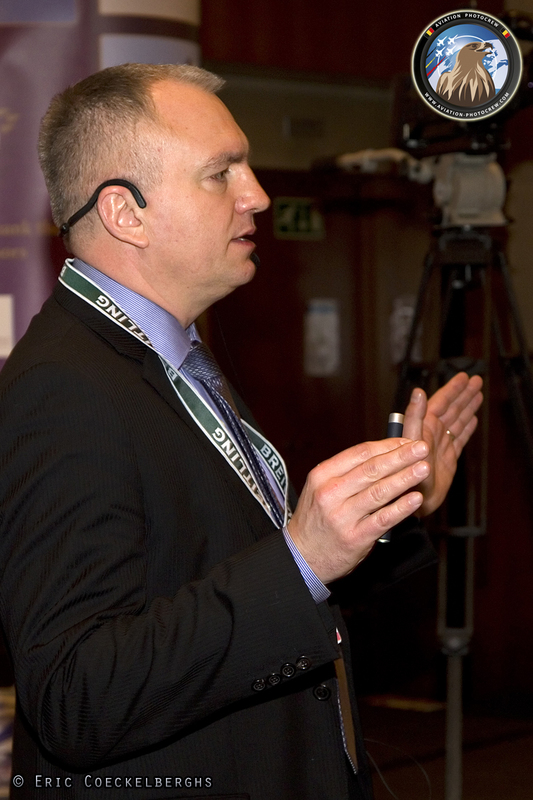 Gen Tomasz Drewniak followed with his experiences as Display Director at the Polish Radom Airshow. 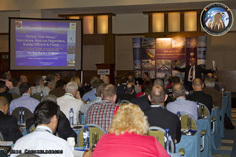 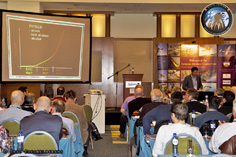 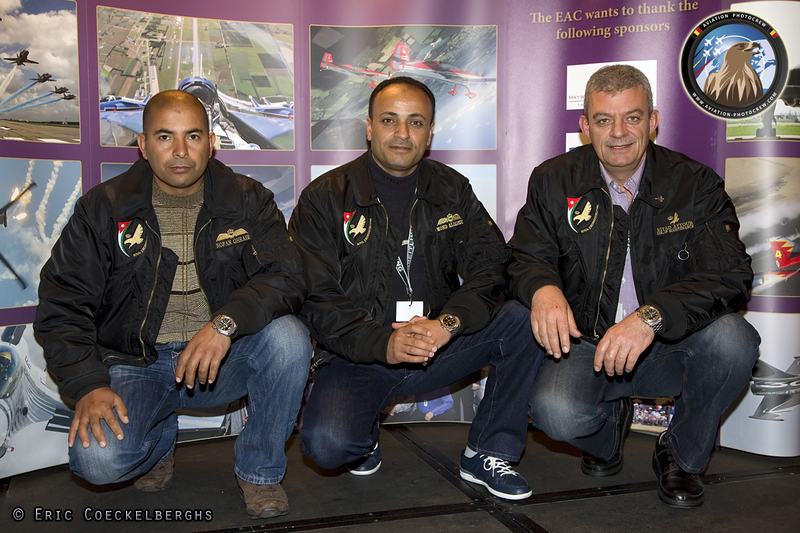 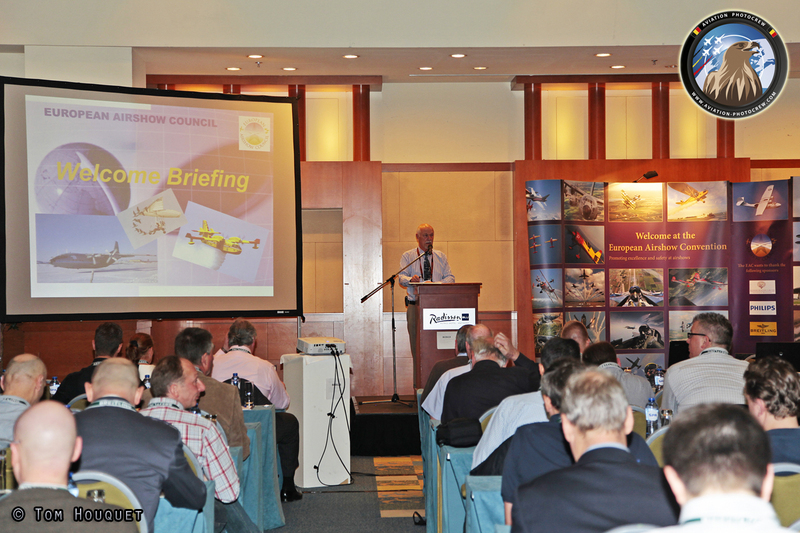 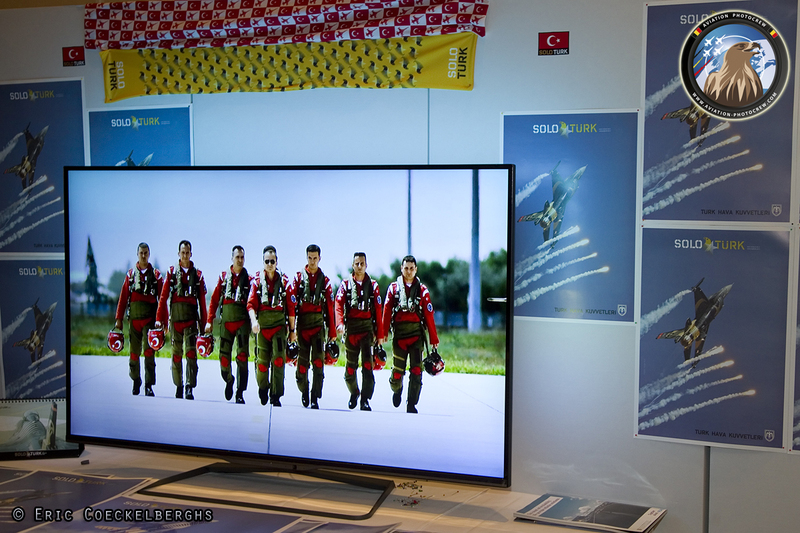 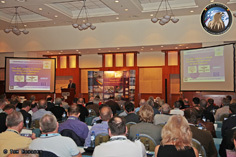 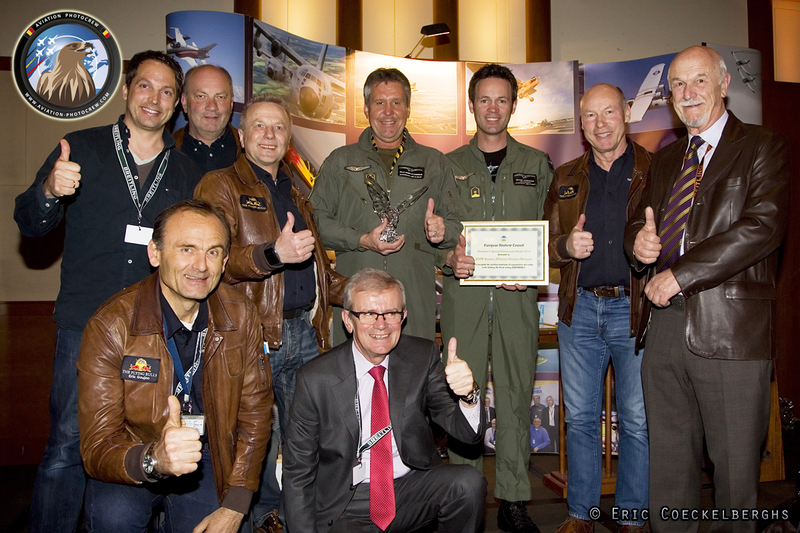 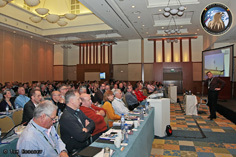 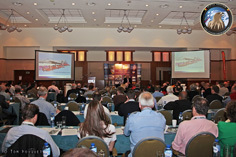 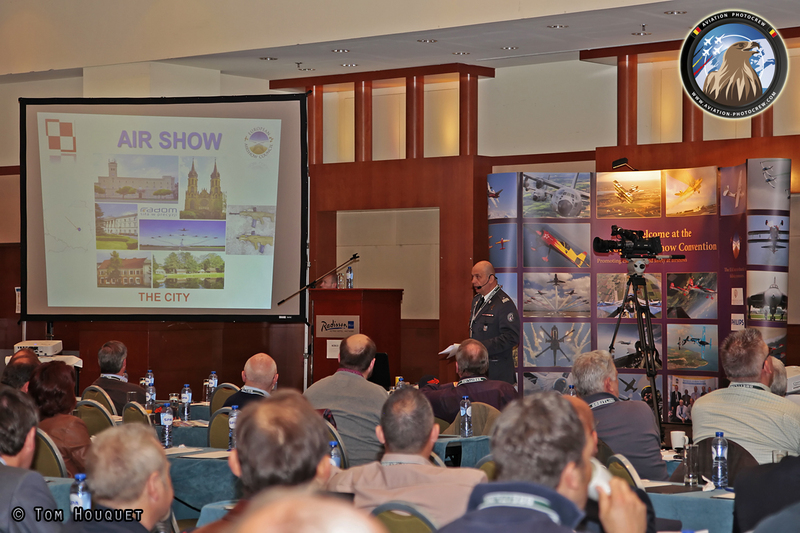 For the first time a dedicated F-16 Display Pilot Seminar was organized during the EAC Convention. 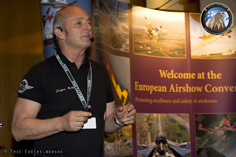 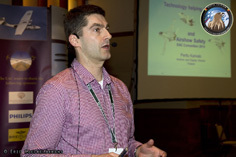 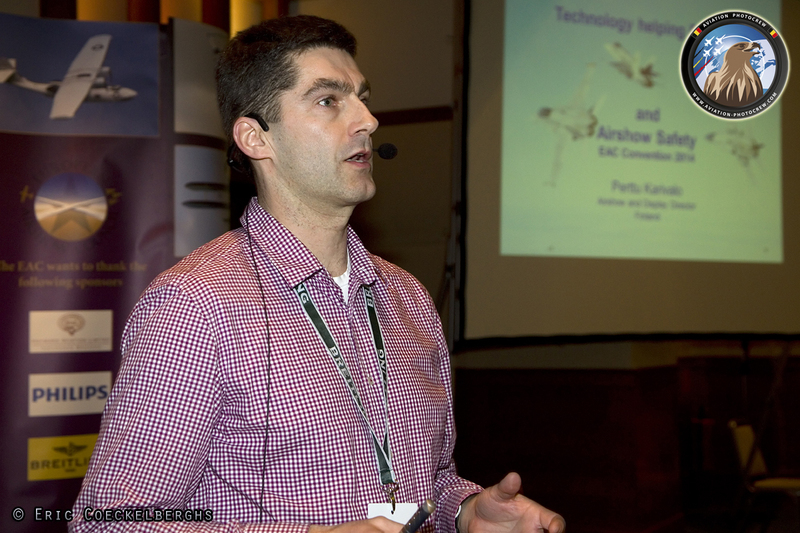 John Vandebosch made a short conclusion of the Seminar which was attended by the F-16 Pilots from Belgium, The Netherland, Greece and Turkeye. 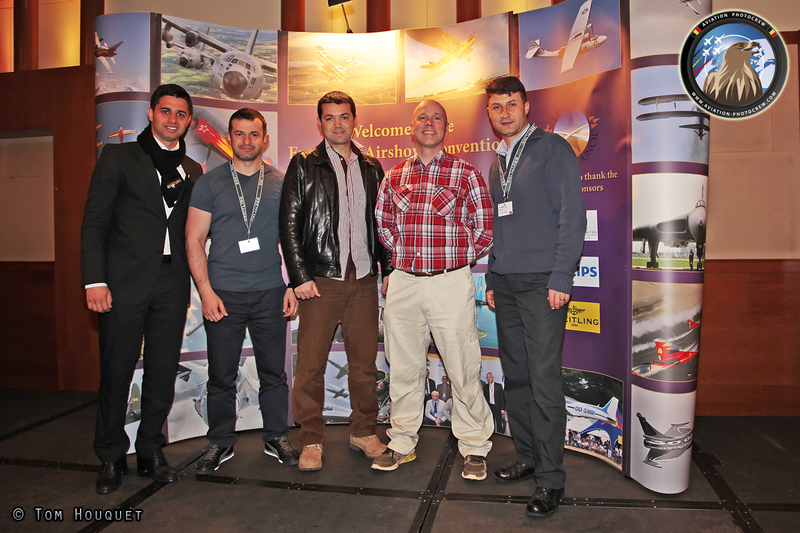 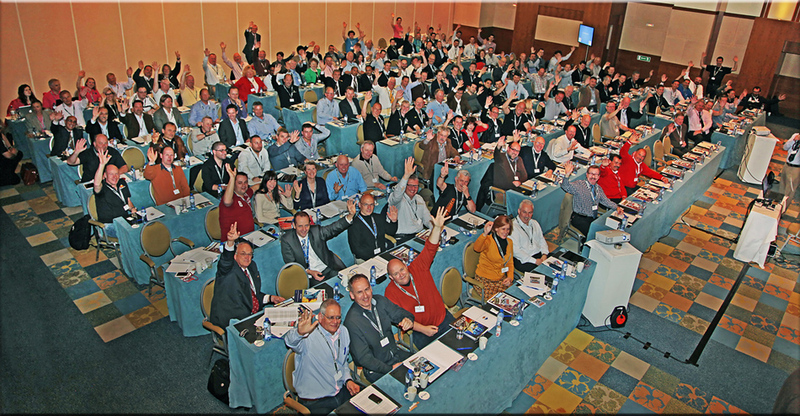 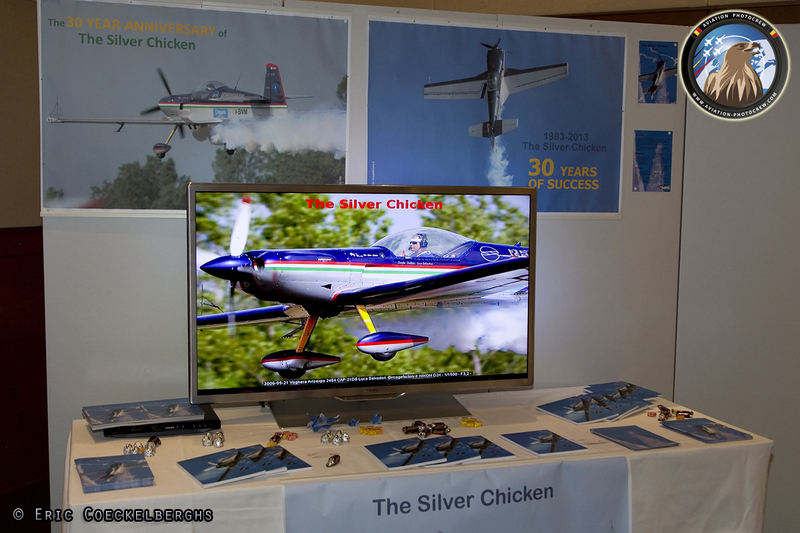 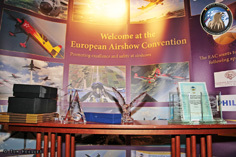 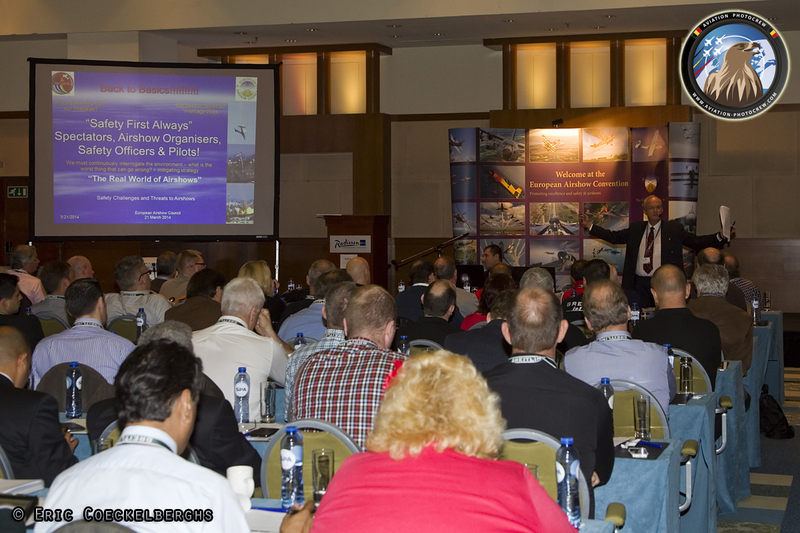 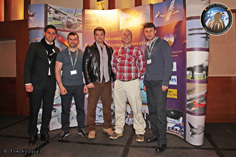 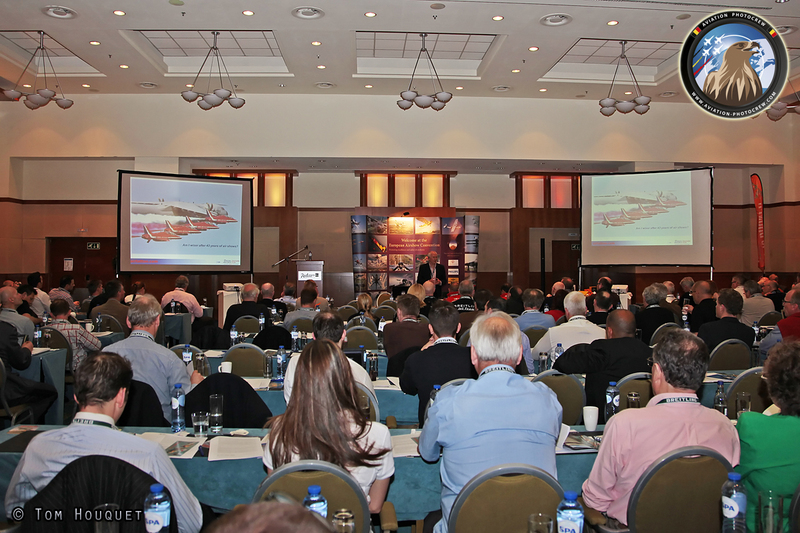 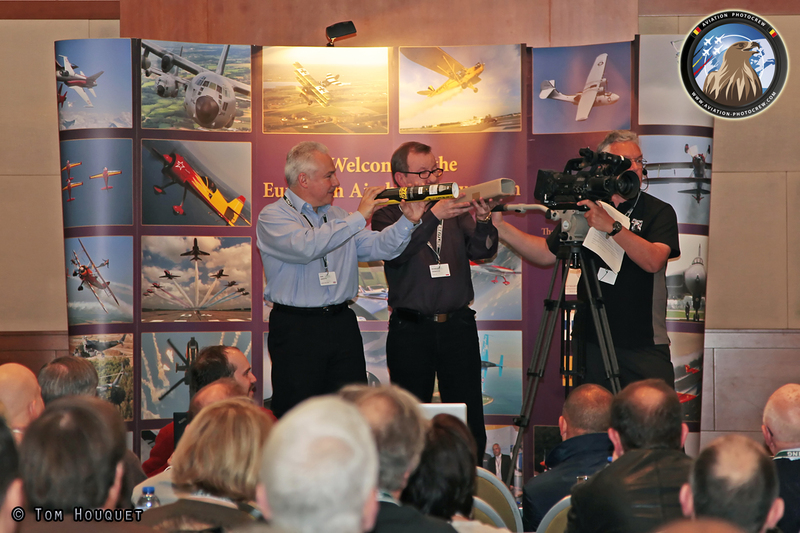 The 2014 edition of the EAC Convention was again a great success with a maximum number of delegates coming from 25 countries reaching far beyond Europe, promoting excellence and safety for the Airshow Scene. Hereby we would like to thank the whole organizational team for being an excellent host. The next edition of the EAC Convention will take place on March 19-21, 2015.